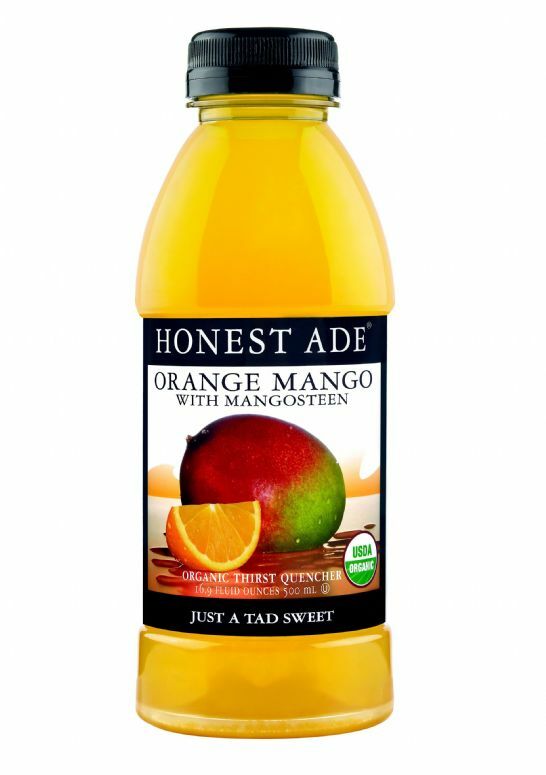 The latest installment to the Honest Ade lineup is Orange Mango with Mangosteen, a lightly sweetened, organic fruit juice cocktail that manages to maintain a flavor that’s close to a full calorie product. There’s a mild orange flavor that hits your tongue first, followed by a decent splash of mango. It’s certainly refreshing and it’s probably the most mainstream tasting juice they’ve created to date. 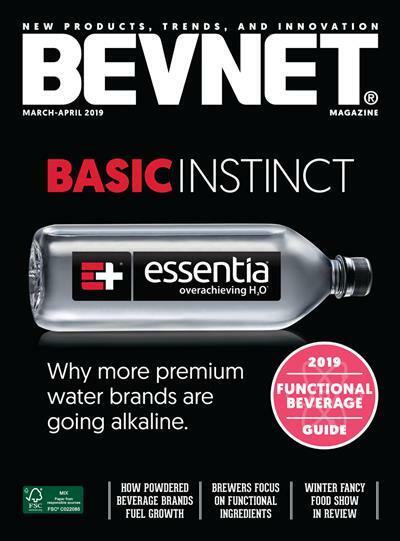 However, we’re not sure that this is a good thing, especially since it seems to lack the same wholesome flavor that always seems to stand out in Honest’s products. Specifically, there’s the noticeable flavor of white grape as well as flavors that are clearly derived from flavorings. The packaging, on the other hand, it is very appealing, with colorful pictures of fruit being the primary focus of the design. 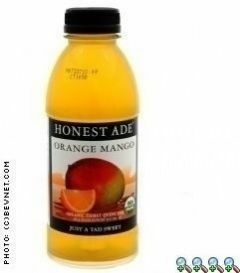 They’ve wisely omitted an image of mangosteen (a tree fruit that looks like a deformed squash), resulting in a product that looks like the super premium juice that it is. 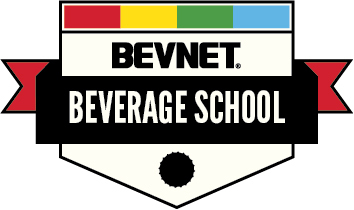 Overall, a good, well-formulated product, but we’d like to see a little more substance and a bit less white grape and flavoring to this product.